Astral People are pleased to announce the return of Henry Wu to Australia. He'll be kicking his tour off on November 17th at Strawberry Fields Festival, then heading straight to the sand-stoned courtyards of the National Art Schoolfor Astral People's Summer Dance on November 18th. Adelaide will get him next on the 23rd of November at Sugar, and he'll wrap the tour up at The Penny Black in Melbourne on November 25th. Stepping onto the scene in 2014, Henry Wu has spent recent years spearheading a new wave of musical creativity in London. As well as being responsible for the world renowned project Yussef Kamaal and it's natural evolution into Kamaal Williams, the South London native has put his name to a host of sell out EPs on the country's finest underground labels including Eglo, Rhythm Section and 22a. Last year saw him turn his attention towards Black Focus Records, a new musical outlet for Wu's community of friends and collaborators who currently have the world's attention locked onto the capital. Wu's ability to take elements of jazz, broken beat and garage and create something unmistakably modern has been championed by the likes of Gilles Peterson, IG Culture, Osunlade, DJ Spinna and Benji B, as well as earning him an army of fans worldwide. He's played along side the likes of Motor City Drum Ensemble and Palms Trax as well as being featured on the line ups ofLondon's infamous Secretsundaze and India's Goat Festival. Drawing influence from his background, Wu has a story as rich and diverse as his music. A direct decedent of the 12th to 13th Wu dynasty, his Taiwanese heritage and dedication to Islam form the foundation of his beliefs which he translates into his music. 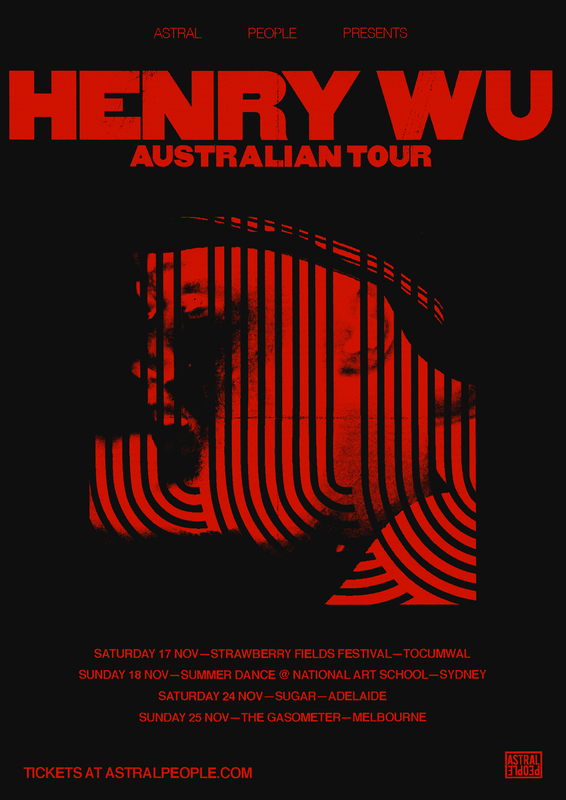 Make sure to catch Henry Wu's unmistakable jazz fusion at his Australian DJ shows this November.